Throughout the years, many accomplished artists have created some of their best work while they were Dorland Mountain Arts Colony residents. Dorland has provided the serenity and inspiration they needed to move forward with their work. Jane Culp is one of those artists. The Dorland Mountain Arts Colony is an artists’ retreat located on more than 300 acres of wooded, rolling hills above the Temecula Valley, about an hour from San Diego and two hours from Los Angeles. The land was purchased during the 1930s by Ellen and Robert Dorland, along with environmentalist Barbara Horton, who joined with the Dorlands to found the Arts Colony in 1979. Since then, the retreat has attracted visual artists, writers and musicians from all over the world. Jane is well known throughout the country for her evocative Western landscapes in oil, charcoal and watercolor. Jane was a Dorland resident many times throughout the 90s and has also been involved with Dorland in other significant ways. She has been a caretaker, served on the Dorland Board of Directors, and made a sizeable donation to help the Colony recover from a devastating fire in 2004 that destroyed all the retreat’s buildings. 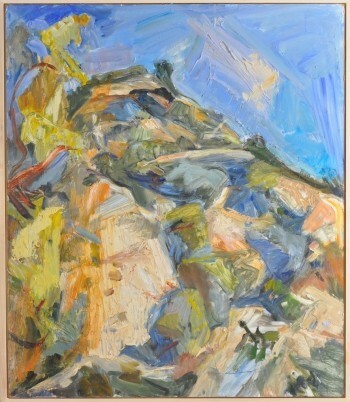 While a resident at Dorland, Jane explored the nearby Anza Borrego desert where she contemplated its beauty, which she depicted in her paintings. In early 2000, after her husband, the New York painter and educator Louis Finkelstein, died, Jane bought property in the watershed mountains above the desert and built a studio much like the one she loved at Dorland. During the frigid New York winters, she continued to stay at the Colony and went to her studio to paint. 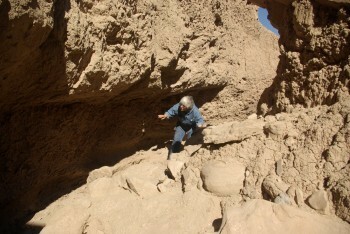 After the 2004 Dorland fire, she built a small strawbale, off-grid cabin retreat on her property and finally moved to the desert full-time in 2009. 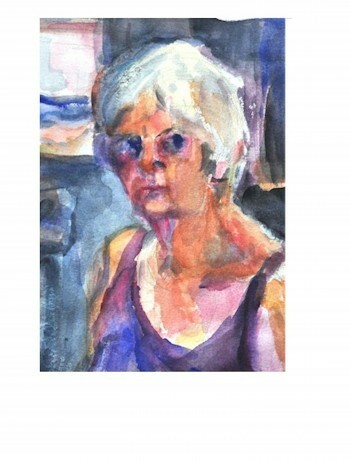 Jane Culp’s paintings have received national recognition throughout her career through many exhibits and publications. Nineteen of her recent Anza Borrego paintings comprised a recent exhibit called “Suspect Terrain,” at the John Davis Gallery in Hudson, New York. She also had an exhibition last fall of “Earthquake County” paintings at the Bowery Gallery in New York City. These paintings focus on the fault lines of the Eastern Sierras. 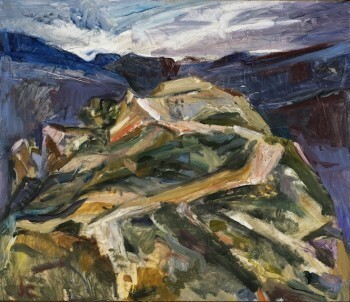 In addition to her New York exhibits, she has painted and exhibited throughout Southern California and the Southwest. 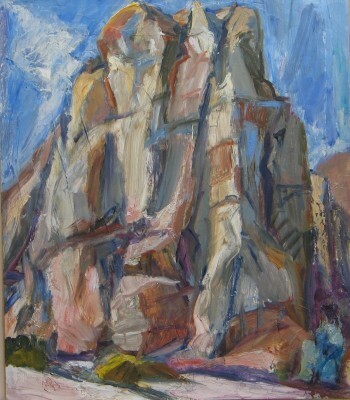 While she was the resident artist in the Yosemite and Joshua Tree National Parks, she produced work exhibited in solo shows in New York City at the Bowery Gallery and the Painting Center. These paintings are also part of the permanent museum collections in these parks and many of the paintings were included in the Yosemite section of the book, Art in the National Parks, which was published last year by Fresco Fine Arts. In addition, the Palm Springs Museum presented her work as part of a desert thematic show several years ago. Jane is obviously doing her job very well. If you are interested in viewing or purchasing Jane’s work go to her website: www.janeculpart.com or contact her directly at culp99@hotmail.com.